Pole saws, or pole pruners, are designed for maintaining and trimming tall trees from a safe position on the ground. A pole saw will help you to complete jobs that require climbing and additional equipment with no ladders required. Powerful and efficient, a high-reaching, extendable pole saw is able to trim overhanging branches and unruly tree limbs with minimal effort. Cut the branches that are 15 feet above the ground without the use of a ladder with this Remington 10inch Electric Pole Saw. 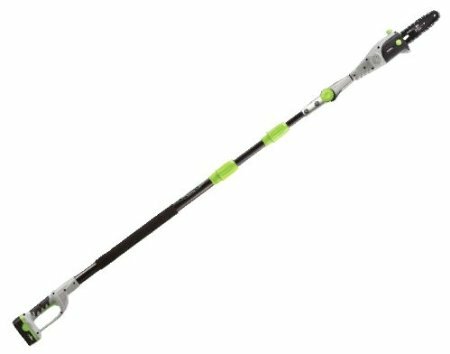 Made from aluminum, the hex-shaped inner pole provides a durable strength and rigidity during extended-reach operations. The 10″ low kickback and chain ensure a safe and comfortable working. The head of the Remington chain saw is removable and can be used separately as a handheld electric chainsaw. 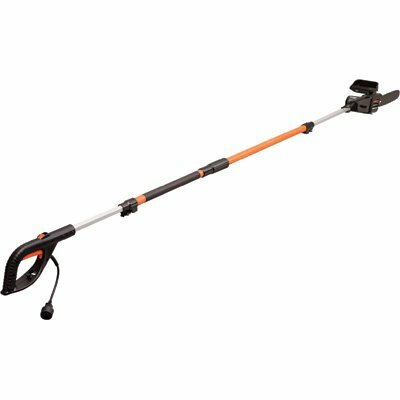 The Black & Decker LPP120B 20-Volt Lithium-ion cordless pole saw makes it possible for you to prune branches 14 ft. above head. This battery powered pole saw allows you to cut branches anywhere in your garden since it is cordless, ensuring a smarter, faster and more efficient working performance. The Poulan PLN 1510 10 in. Electric Polesaw is environmentally friendly since it requires no mixing of gas and oil. It is equipped with a 8 Amp/1.5HP motor, making it ideal for pruning small trees. 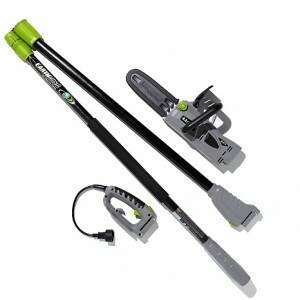 Its adjustable boom is able to extend up to 12 feet of reach. Also great for small construction or landscaping projects. This professional heavy-duty extension pole saw can reach 6.3 metres. There are an upper sickle for cutting vines and a lower sickle to undercut bark. The blade is adjustable to 2 angles to meet the lower or higher cutting requirement. Featuring a race-track profile, the aluminium alloy extension pole offers precise control to the direction of the saw blade. Push buttons are designed for multiple length adjustments and safety clamps. Say goodbye to the tangled cords and tipsy ladders and get back on the ground with this EARTHWISE 8″ Cordless Rechargeable Pole Saw. 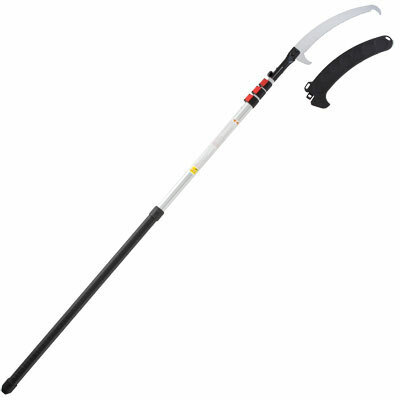 Its telescoping handle is able to extend easily to provide a reach up to 9 feet. Its cordless design means you can go anywhere in your yard.